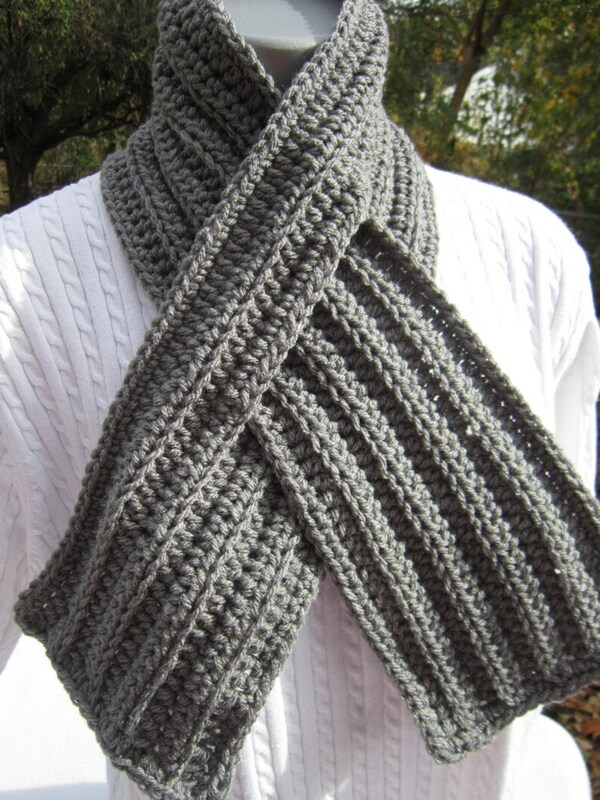 This crochet ribbed neckwarmer is sure to keep your or your favorite person warm this winter. Crocheted from soft yarn, it is ribbed for texture and very stylish. It has a slit for the other end to fit through, so there's no button to bother with. Just slip it through, put your coat on, and you're ready to head out into the chilly air. It measures 37 inches long and is 5 inches across. It is machine washable in gentle cycle, or you can hand wash it. You can dry it in the dryer or lay flat to dry. Hand washing and laying flat to dry is the preferred way to clean. If you love this neck warmer, but would like a different color, please convo me with your choice and I'll be happy to make one just for you. You can choose gray, black or dark brown at check-out. This neck warmer is made to order. Please allow 2 to 3 days after purchase for it to be completed and in the mail. Need or want more than one, let me know and I'll give you a $2.00 discount on each one you order. Just let me know before ordering so I can change the listing! This neck warmer would make a wonderful Christmas present for anyone. Wear it indoors or out! Dressy or casual. Please check out my shop for many other winter wear accessories. I love this scarf!! It's the perfect size, stays in place & is very simple & attractive. I also love the personal touch, knowing it was made after I placed my order & the kind note from Charlene inside. I ordered another one for my son & it arrived within a short period of time.